Is It Too Late for Residential Mosquito Control? 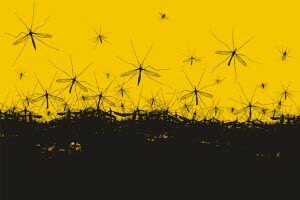 Worried that you’ve waited too long for residential mosquito control to save you from the swarm? Never fear. 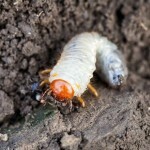 There are plenty of ways to clear your property of the existing problem and prevent more bugs from making your yard home. 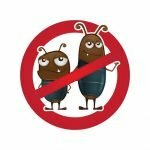 Call a reputable pest prevention company. Most of the smokers, candles, sprays and other products sold directly to consumers don’t do a very good job of killing mosquitoes. At best, they’re a temporary fix capable of filling the air with pesticide and taking a chunk out of your budget. A better, and surprisingly more affordable option is often calling in a professional pest control company. Why? They’re efficient. They have access to products that work very well, and they know the best ways to apply them for maximum protection. Clear out sources of standing water. By midsummer, you may have grown tired of draining pooling water from everywhere it collects in your yard. Unfortunately that step is essential to preventing mosquitoes from breeding and spreading. You may be able to have a pest control company treat areas where water commonly collects before it’s a problem. These applications can interrupt mosquito development regardless of whether water is left to sit or not, though this kind of protection can take regular treatments. Treat your lawn and landscaping features. If you have areas where water pools after a rain, professional treatment can prevent it from becoming a chronic problem. Talk to the pros about non-toxic options if you have kids or pets. Natural treatments are available, but they typically aren’t found on a store shelf. In addition, for landscaping with pools or fountains, you need special care. Prevention can be as easy as attaching a vibrating devise. At other times, regular treatments are necessary. Getting an assessment by a pest prevention specialist can help you enjoy your features without being overrun by bugs in the process. Prepare for enjoying your time outdoors. Regardless of whether you hire a professional, there’s still time to cut down on your mosquito problems this summer. All it takes is a bit of preparation. Going outdoors adequately prepared will ensure you enjoy yourself. Instead of protecting your yard, you can always focus on protecting yourself and your guests. For instance, you can apply topical mosquito repellants to keep the bugs from flying in your face or biting you anywhere. These can be traditional, like DEET-containing sprays and wipes, or more natural, as in catnip oil-based products. You can also use large box fans to blow mosquitos away from yourself and your guests. To get a free quote for residential mosquito control from Think Green Lawn Care, call 678.648.2556 today. We are here to work with you and discuss your options at getting, and staying, bite-free.